CIPET JEE 2019 Result will be available on The First week of July 2019 by the Central Institute of Plastic Engineering and Technology (CIPET) on their official website to offer admission to the various undergraduate courses. The government of India established CIPET in Chennai in 1968 with the aim of developing skills of people in the various aspects of plastic engineering and technology since no other Institute had been established for the same.Along with the result declaration, candidates will also get their rank in the merit list by the exam conducting body. Then, the counselling schedule will be available Second week of July 2019 by the Central Institute of Plastic Engineering and Technology. As per the counselling schedule, aspirants have to appear in person at the counselling venue. Then, the candidates will get a provisional seat allotment letter / provisional admission letter. All the information related to CIPET 2019 will be available on this website once an official notification is available from the concerned authorities. CIPET offers admission to various undergraduate courses such as DPT (Diploma in plastic technology), PGD-PTQM (Postgraduate diploma in plastic technology and quality management), PD-PMD with CAD/CAM (Postgraduate in plastic mould design with CAD/CAM), DPMT (Diploma in plastic mould technology), PGD-PPT (Postgraduate diploma in plastic processing and testing). The exam will take place in July 2019 and the results will be available by the First Week of July 2019 tentatively. The candidates must ensure that they follow all the important dates so that they do not miss any important events. The results are generally available on the official website of CIPET which is www.cipet.gov.in under the link of CIPET 2019 Result. 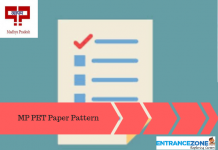 How to find the CIPET JEE 2019 Result? 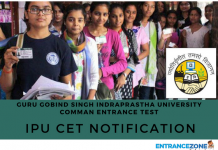 Steps to view the CIPET Result 2019. Visit the official website of CIPET. Login with the registration number and the password. Click on the link named CIPET JEE 2019 result. View the merit list declared by the institution. One needs to keep this in mind that registration number is the unique number which is issued to the candidates soon after they fill the application form using which they can log in their accounts. Cutoff score is the minimum marks which the Institute decides for the candidates to score. 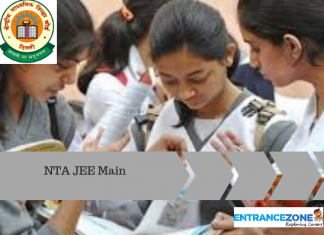 The candidates must ensure that they score above the cutoff score for their name to appear in the merit list. All the selected students will get the invitation to the counselling soon after the declaration of the result. Counselling for CIPET JEE 2019 will commence from the second week of July 2019. Moreover, getting admission is purely on the basis of performance of the candidate in the entrance test. Accordingly, based on the merit, a call letter will be issued to the selected candidates. Based on the call letter, which shall carry all the further details for admission, candidates should report for the admission. After being allotted a seat, a candidate have to submit the admission fee and tuition fees, within the stipulated time period. The time period would be printed on the counseling call letters. The fees specified for second-semester engineering courses need to be paid within 14-15 Days from the date of commencement of the new semester. All candidates necessarily need to go through each point mentioned in the ” Code of Conduct” undertaking and sign the same at the time of admissions. All the original, as well as the copies of each document or details, should be provided at the time of admission to the University for verification purposes. The University will be providing Practical Industry like Training and all students can attend this training in rotational shifts. Ragging is strictly prohibited within the University campus. Any student found depicting such behavior will be expelled and strict actions will be taken against him or her. This was the fee structure of the five courses that are offered under CIPET JEE, last year. If any changes been made in the fee structure, this year, this page will be updated accordingly after the official release of the information brochure. Until that time, a candidate have an idea regarding what amount needs to be paid to the University, from below. 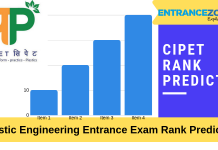 Stay tuned with EntranceZone for more updates and information related to CIPET 2019 Result.